Horse racing must make better use of technology to create new betting products and experiences or it will be left behind other sports and entertainment industries. That was the message of Friday’s technology session on closing day of the Association of Racing Commissioners International’s 84th annual Conference on Equine Welfare and Racing Integrity at the Hotel Hot Springs. Panelists said that the likelihood of widespread sports betting, which is based on fixed odds in contrast to horse racing’s pari-mutuel structure, provides a pathway to innovation. Moderator J. Curtis Linnell, the Thoroughbred Racing Protective Bureau’s executive vice president, said all entities involved in racing should work toward increased participation in horse racing through betting. Sean Pinsonneault, an industry consultant and previously executive vice president of strategy and wagering for Woodbine Entertainment Group, said racing’s big days and the creation of “jackpot” wagers in recent years are ways the sport has created excitement. “There are lot of positives that come from this industry, but it’s changing the way we do things,” he said. Pinsonneault used as an example offering a partial cash-out option on multi-race wagers, where the bettor who remains alive in the wager has the option to get partial payment or bring in partners who buy part of the bet for the remaining legs. Pinsonneault said that is being done in the United Kingdom, which has resulted in a 30-percent boost to pool income and with 80 percent of the cash-outs being partial. He said the bet increases spending and retention of customers, modernizes the multi-race experience and maximizes player engagement. He added that its “Deal or No Deal” concept is ideal for sharing on social media to let people know part of a so-far winning bet is up for sale. Pinsonneault also said Australian racing’s wagering went from 70 percent via its pari-mutuel system and 30 percent fixed-odds wagering to 32 percent pari-mutuel and 68 percent fixed odds through corporate bookmakers — a change that has seen the betting on horses increase 38 percent in 10 years. The panel also suggested studying innovation in other highly regulated industries, such as the financial sector’s addition of derivatives that resulted in an explosion in investment. Linnell encouraged experimentation in the pursuit of the home-run idea and emphasized the need for increasing the speed from innovation to implementation. Linnell said the TRPB, racetracks’ investigatory body which oversees a wide range of integrity issues, stands ready to help regulators creating new betting-product models that comply with their rules and laws are legal, accountable, audit-able and fair to the betting public. 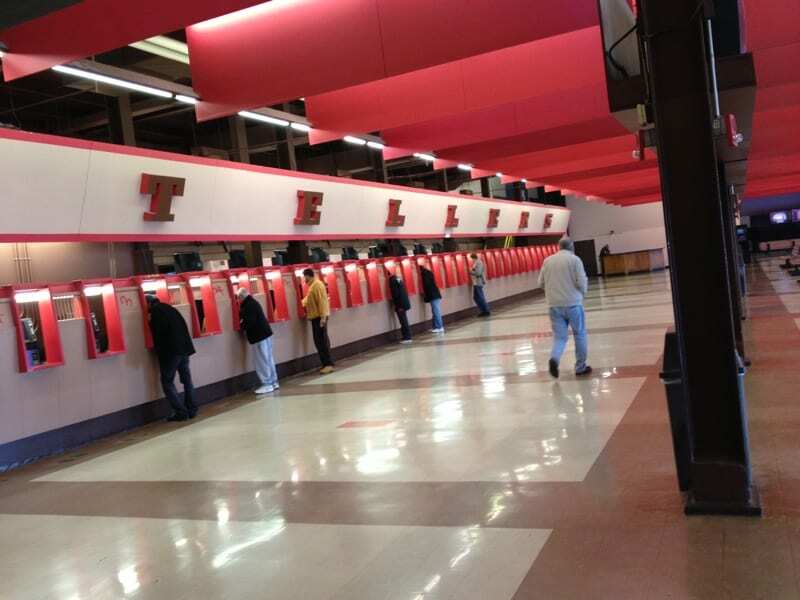 Ed Martin, ARCI’s president and CEO, said the likely expansion of sports betting will pave the way for racing to use fixed odds in addition to the pari-mutuel model. “I think it’s incumbent on every racing commission to have your general counsel look at any bills going through your legislature to make sure that they are broad enough, that you aren’t restricted in language in regards to wagering on horse racing, that it has to be pari-mutuel,” he said. “In some states it’s constitutional; in other states it’s a statute. You might give serious thought to slipping something in a bill that’s going through the legislature to give you maximum flexibility. It’s not only the racing’s commissions’ responsibility. It’s the responsibility of the tracks, the horsemen, the breed registries and everybody involved in this.